This lovely striped blue dress is a beautiful choice for the warm weather. 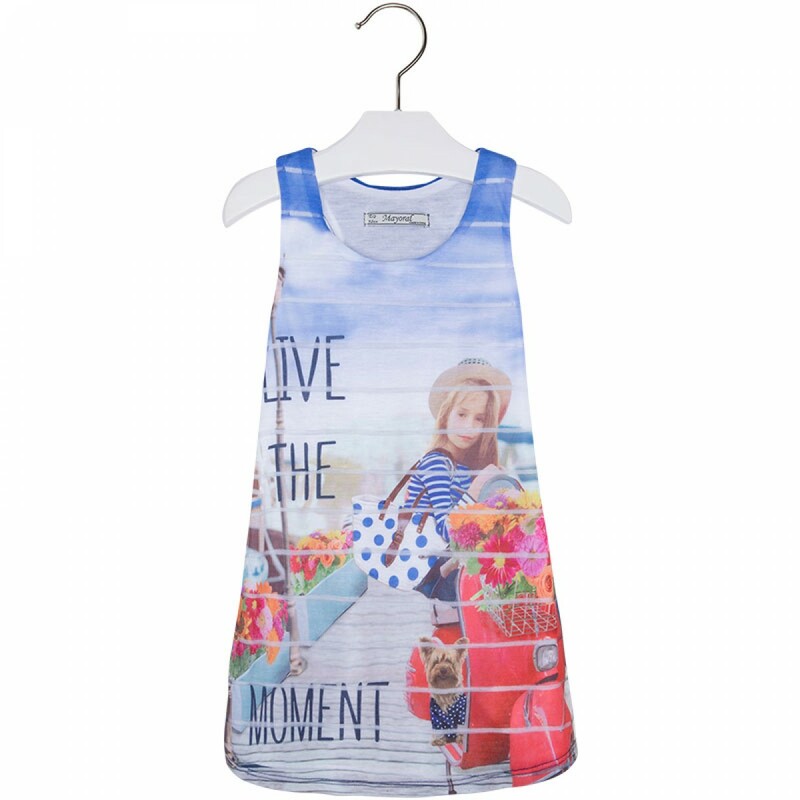 Made in striped jersey fabric with see through lines throughout, and a striped back, it features a charming girl print with the statement 'Live the Moment' printed on the front. Cool, stylish, easy to wear and made for the warm weather, it's the perfect dress for the beach, or anywhere where the sun is shining. The clear striped design is a delightful feature that really lifts the dress, making it a very special piece. You can dress it up or down - team it with sandals for day wear and a denim jacket for the evening. Washing instructions: wash at 30 degrees, do not bleach, tumble dry low heat only, cool iron only, suitable for dry cleaning.